Apex, NC is a stunning suburb of Raleigh. It provides old town charm with award-winning restaurants and a railroad museum. While you’re out shopping boutiques and enjoying delicious food, you certainly don’t want to have to also search for a dentist office. 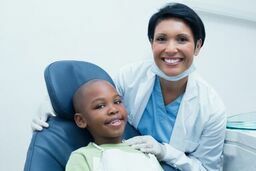 Emergencydentistsusa.com has made it easy for you to find a dentist that can treat you when you’re in Apex, NC. We have compiled a list of available dentists in the area. You can see the hours that they are available, some of the conditions that they treat, the payment methods that they accept, and some of the insurances that they take all with just the click of a button. Finding a new dentist has never been easier. If you don’t have access to the internet, you can call our free dentist finder hotline. One of our friendly operators will be glad to assist you with finding a dentist that can treat you quickly. Once you determine the office that you want to visit, we can set up the first appointment and provide you with directions to the office. When you go to your first appointment, make sure you bring a valid ID, any payment due, a list of current medications, and an insurance card if you have one. Apex has no shortage of choices when it comes to dentists. Since it is a suburb of Raleigh, there are definitely a lot of dentists to choose from. If you’re having an emergency, general dentists are typically the offices that offer extended hours. Most patients will go there to have their issue assessed and the pain treated, then they are referred to a specialist if it is needed. Description: Riccobene Associates Family Dentistry offers a huge variety of dental services to their patients. They have a large staff of doctors on hand so they are able to perform general and cosmetic dentistry as well as orthodontics. By being able to treat the entire family, it can save you time to make all dentist appointments on the same day and avoid multiple trips to the dentist. Description: LeCann Family Dentistry is a general dentist that offers their patients a friendly environment where they can get a dazzling healthy smile. They teach their patients how to maintain a healthy smile that will last a lifetime. Their staff is always welcoming so that patients are comfortable any time they come in for treatment or cleanings. Description: Peak City Dentistry treats each of their patients like the are part of the family. They provide general dentistry in a clean and comfortable environment. Not only do they treat your teeth, but they teach you how to maintain a healthy smile for life. If you’re experiencing a pain in your mouth that has lasted longer than a couple of hours, you should go to an emergency dentist. If you haven’t had any trauma to the area and have experienced an onset of pain, it is likely that you’ve had an infection building up there and it has finally reached near the tender root of the tooth. If you allow it to continue, it can affect the the teeth and gum surrounding it, which ends up causing more problems. If you’re visiting a dentist for the first time, it’s important to check their credentials and certifications. You can always check these when you go into the office for your appointment since most dentists will frame and hang them throughout their office. If you would like to check them prior to your appointment, simply enter your doctor’s name on the North Carolina Dental Society website.